The San Francisco Ferry Building. Faneuil Hall. Atlanta's Ponce City Market. These places stand as icons of their cities today, in part because of the 36-year-old federal historic tax credit (HTC) program. Designed to provide a 20 percent income tax credit for the rehabilitation and commercial use of certified historic buildings as long as work complies with the Secretary of the Interior’s Standards for Rehabilitation, the HTC program has made it possible to adapt more than 41,250 buildings for productive use. It’s also created 2.3 million jobs and leveraged nearly $117 billion in private investment. And while the famous buildings mentioned above may have been rehabbed even without the tax credit, the absence of this program would mean that tens of thousands of lesser-known buildings now contributing to the livability and economies of their communities most certainly would have been demolished or lost to neglect. But despite its positive nationwide impacts, the federal HTC program remains threatened by tax reform on Capitol Hill—particularly right now. During each of the past six White House administrations, new tax legislation has been introduced within the first year. And while President Trump has used historic tax credits to fund real estate development, it is uncertain whether the program will be included in his (and pending Congressional) recommendations for reforming the tax code. What we do know is that the most recent comprehensive tax reform legislation, which was introduced in Congress in 2014, called for eliminating the HTC altogether. If the HTC were repealed, owners of historic theaters, train terminals, grocery stores, firehouses, and factory buildings across the nation would lose a key financing incentive, and that could mean the difference between rehabilitation and demolition. 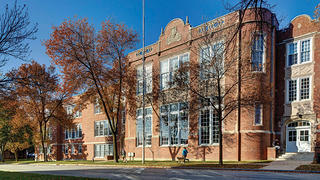 Here, Preservation presents examples of three thriving buildings that would have been lost if not for the HTC program. 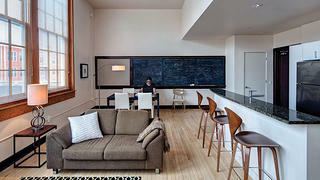 The 1917 Longfellow Lofts building—as well as a new, separate building that’s part of the Longfellow Lofts complex—are located in the historic Greenbush neighborhood of Madison, Wisconsin. When converting the former Longfellow School into 40 loft units, The Alexander Company made sure to keep original elements such as chalkboards, hallway lockers, and even basketball hoops. Now a mixed-use building with retail, offices, and apartments, Knapp’s Centre in Lansing, Michigan, opened in 1938 as Knapp’s department store. 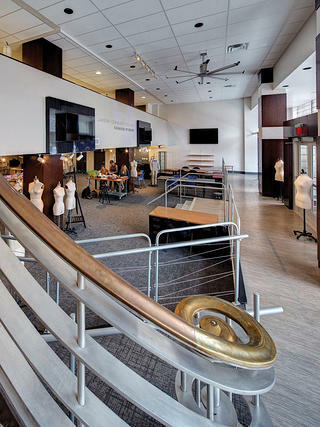 The National Trust Community Investment Corporation worked with developer Eyde Company to finance the Streamline Art Moderne structure’s revitalization, led by Quinn Evans Architects. 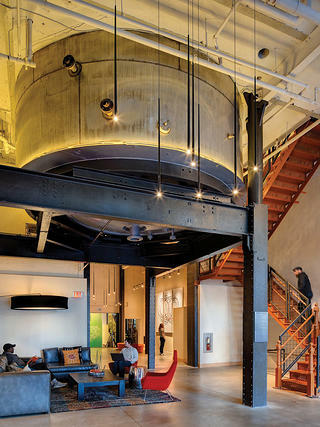 Restored interior details include a steel and bronze railing and terrazzo floors. 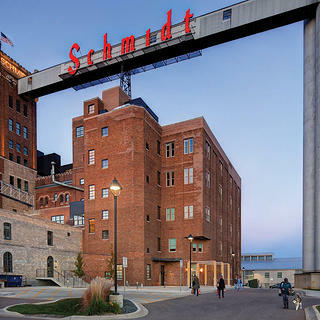 St. Paul, Minnesota’s Schmidt Brewery stopped making beer in the early 2000s. Now it houses 247 lofts, all with household income limits to ensure affordable rents for artists. Developed by Dominium and designed by BKV Group, the complex retains historical details such as its Gothic-influenced architecture and the brewing tank suspended above the main lobby.